Piper Jane wanted a sparkle party this year for her fourth birthday (well, actually, she wanted another sprinkle party… and then decided that a sparkle-party-with-lots-sprinkles would work instead). It’s such a fitting theme- that girl just exudes sparkles. 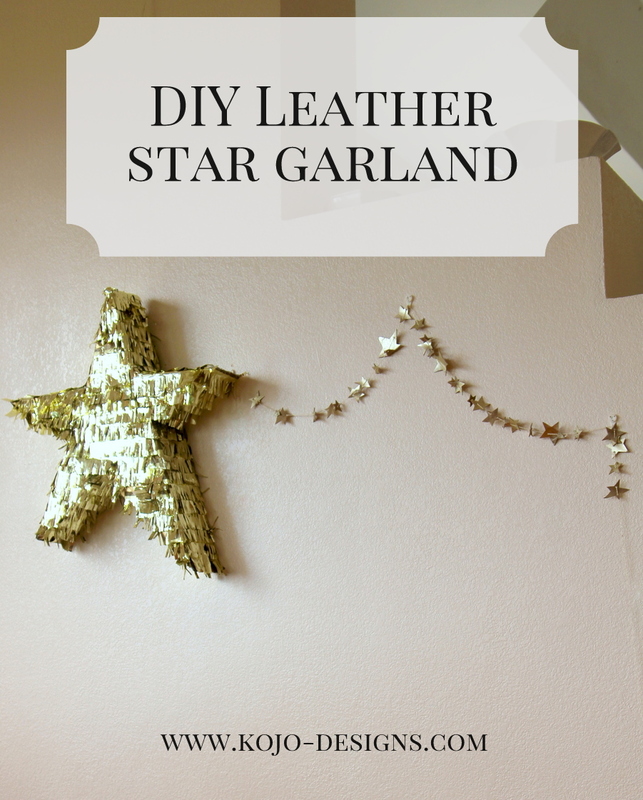 So while I edit five hundred pictures, I thought I’d share the leather star garland how to. I used the leftover gold leather from making this bag (and still have some more- love it! 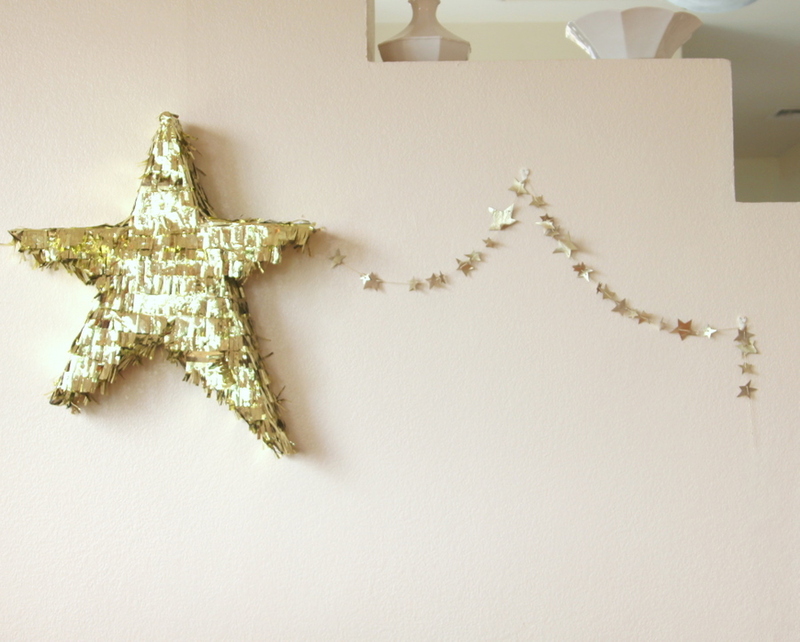 ), and cut out a whole pile of stars (just freehand- I’m telling myself the wonky-ness is charming). Then, I punched holes in the leather stars (two holes in the bigger stars and one hole in the center of the smaller ones) and strung the stars on some gold and white bakers twine that I found in Target’s dollar bin, you know, when I still had a Target nearby. 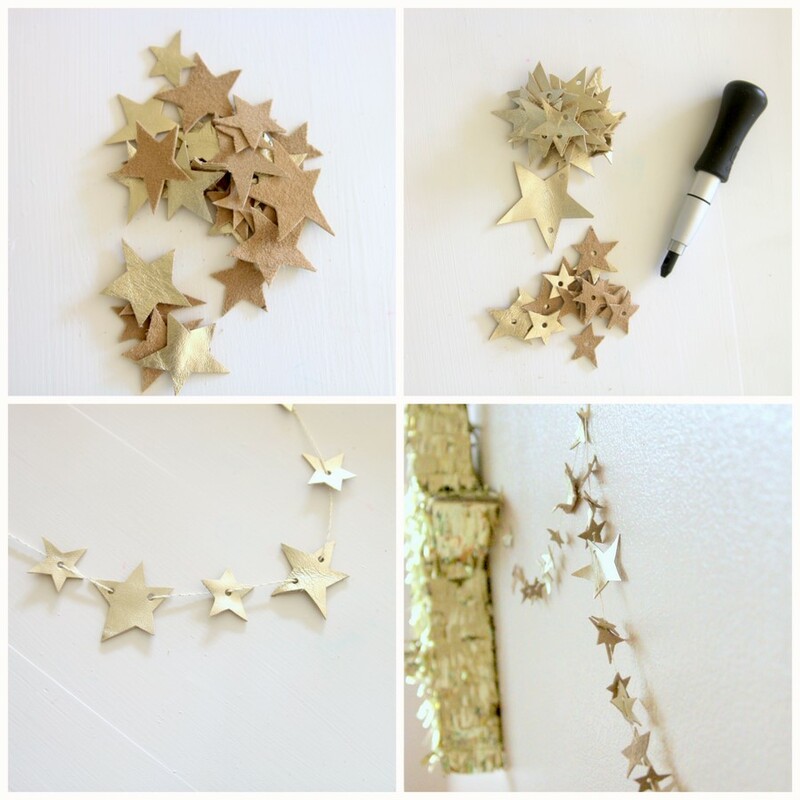 Voila- the perfect star garland for a sparkle party. 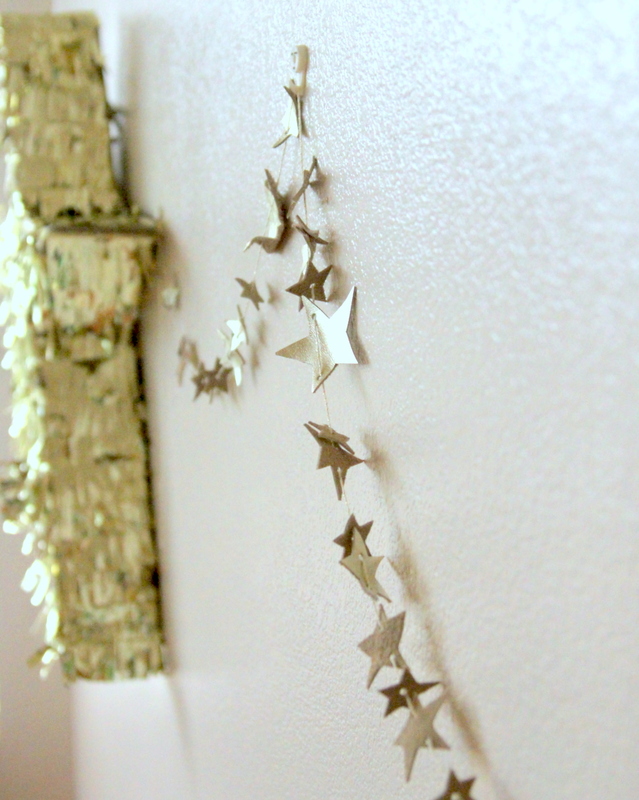 *Spoiler alert- this little garland (and the accompanying pinata) are now decor above the kid’s reading nook. * Trying to take a page from Myquillin’s book by using what I have on hand to decorate our very big and very empty rental house. Loved this party (and this leather garland)- can’t wait to show you more soon! ps- We got the leather for the gold bag (and this garland!) at The Leather Hide Store– check them out if you’re looking for a leather source! OOOH… PRETTY, SHINY, BEAUTIFUL SPARKLY STARS!…. I THINK I RECOGNIZE THAT GLAMOROUS GOLD LEATHER! 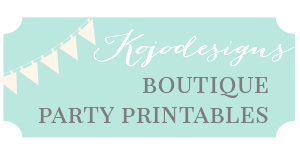 😉 HOW FUN YOUR LITTLE’S PARTIES MUST BE!